The Iris Carmack Endowed Scholarship was established in 1985 honors the past National Alumni Association president and founder of this chapter. This scholarship partially funds one semester of out-of-state tuition and is awarded annually to an outstanding Alabama-bound freshman from Metro Atlanta. Applicants must have minimum 3.5 GPA to apply. Sidney D. and John C. Arant created the initial endowment for this scholarship. However, chapter events and fund raising are critical for funding this scholarship every year. This scholarship is awarded to an outstanding upperclassmen Alabama student from Metro Atlanta who is enrolled in the College of Commerce and Business Administration. Applicants must have minimum 3.5 GPA to apply. Jim and Ann Givan both attended The University of Alabama. Their son graduated from the University as well. They are active members of the Atlanta Alumni Chapter and have supported our Chapter for a long time in numerous ways. Jim served as President of the Atlanta Chapter as well as President of the National Alumni Association. The Givans love the University of Alabama and have endowed this scholarship in the hopes that the students it supports will love the University as much as they do. This scholarship is for an entering freshman from the Atlanta area whose parent or grandparent has been a member of our chapter for at least a year and has a minimum 3.0 GPA. 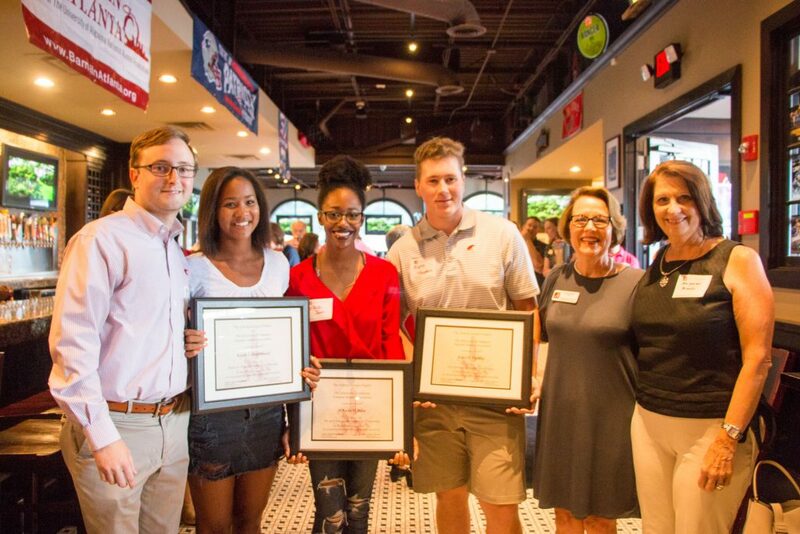 The Bama in Atlanta Legends Community Service Scholarship was established in 2018. This scholarship is awarded to an entering freshman UA bound from metro Atlanta who exemplifies making a difference in the lives of others. Applicants must have a minimum 3.5 GPA. Students must demonstrate an active leadership role in previous and current community service projects. NOTE: You do not have to have your acceptance to The University of Alabama to apply for scholarships but you must have applied and have the above turned in. For any other questions, please email us at BamaInAtlanta@gmail.com .